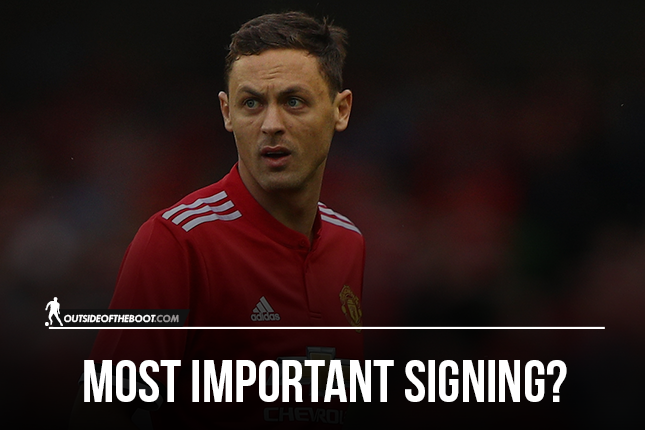 Kaushik Goswami has a look at why Nemanja Matic could be Manchester United’s most important signing. Having already lured Romelu Lukaku and Victor Lindelof to Old Trafford, Manchester United manager Jose Mourinho has added another signing to his Manchester United squad. Tried and tested in the Premier League, Nemanja Matic can be the most important signing of this transfer window for Manchester United. Mourinho’s faith in Matic’s abilities is no surprise. He was bought by Chelsea at 5 times the price they sold him for( 5 million when they sold him to Benfica, bought back for 25 million). Since his signing, Chelsea have won 2 titles in the last 3 seasons. Coincidence? In this article, I look at how Matic is likely to influence the current Manchester United squad. Many people feel Matic is someone Manchester United could have done without because they have the likes of Fellaini and Herrera who play similar roles. While it is true that Fellaini and Matic do have similar playing styles and similar stature, there are vast differences in their gameplay. They are both apparently limited in their speed due to their huge frame. This invites the opponents to press them when they look to receive passes. Fellaini often ends up losing the ball when facing such pressure while receiving the ball with his back to goal. So this leads to dangerous situations which can often lead to his team conceding a goal. Matic, on the other hand, has a great first touch. This often means he comes out of such situations with ease. 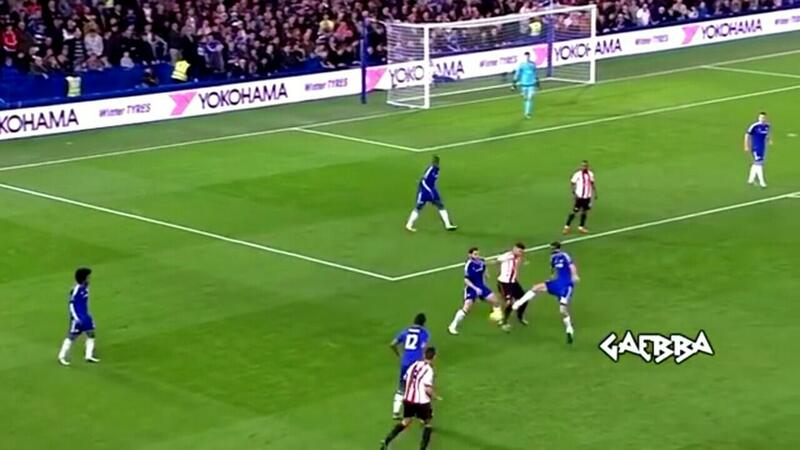 This disrupts the opponent’s structure as Matic creates gaps by evading the press. As a result, he creates space for the forward players in his team like Hazard and Pedro. At Manchester United, Pogba will thrive if given that much of space because he is better when he is facing the goal. Matic will provide more opportunities for the likes of Pogba, Lingard, Mkhitaryan, Martial and Rashford to run at the opposition goal. Here we see Matic waiting for an opponent player to press him as that would open up space behind him. 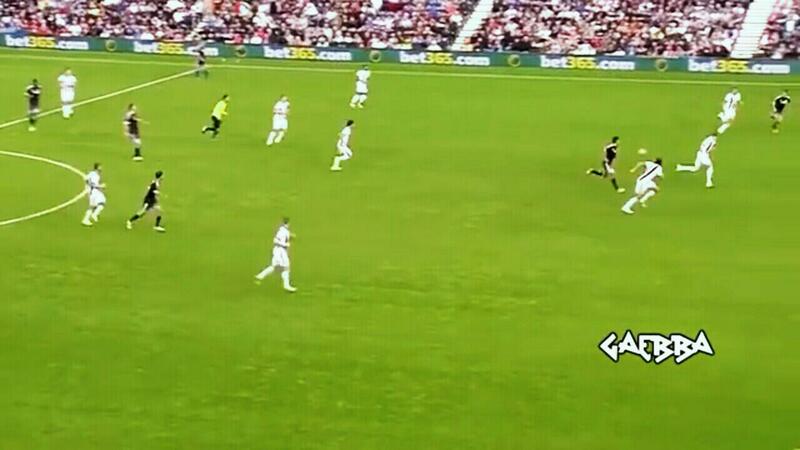 As soon as the player gets close to Matic, he turns past him and and plays a pass into the space that he opened up as shown in the earlier graphic. Another feature of the Serbian’s game is his ability to manipulate the defensive structure of the opposition team by using body feints. This adds an element of surprise to his game which makes him very unpredictable and difficult to dispossess. By using body feints, he opens up passing lanes which can lead to good chances for his teammates. At Chelsea, Willian was the beneficiary of this trait of Matic as the latter would often find him free with one of his passes after manipulating the opponent’s structure. He also has a good range of passing which helps him exploit gaps and send his teammates free on goal with his passing skills. Often he breaks several lines of opponent defense with his through balls. This can come in handy at Manchester United who use quick pacy players like Anthony Martial and Marcus Rashford on the wings. Matic’s through balls can set them up in good scoring positions. An example of Matic’s passing. Here he splits 3 lines with 1 pass. Matic sees Willian free on the wing. He splits several lines with one pass which sets Willian through on goal. What strikes me most about Matic is his game intelligence. He always makes great decisions when it comes to his on and off-the-ball actions. He knows when to speed things up and when to slow things down. In some situations, he can look to feed his forward players immediately after winning the ball while at other times, he tries to retain the ball and win fouls to buy time for his teammates. These actions highlight how good he can be for a results-oriented team like Manchester United. He knows how to see out games which has proved pivotal in Chelsea’s title winning seasons. This is highlighted by the incredible number of clean sheets Chelsea have had in each of their title winning seasons. The following images sum up Nemanja Matic. Matic wins the ball from his opponent. He then looks for the possibility of a counter attack. 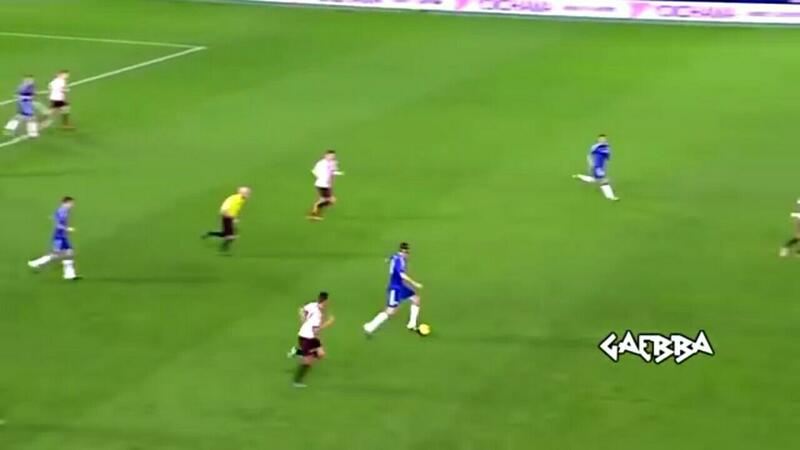 Because the counter attack is on, he picks out Willian with a diagonal pass. If the counter attack was not an option, Matic would have looked for the safest passing option. This looks simple on paper but hard to put in action. His game intelligence allows him to anticipate opponent moves. He uses his frame to good advantage to block out passing angles thereby nullifying the threat of a counter attack. His ability to patrol the area in front of the back 4 serves as an assurance for the fullbacks who can then get involved in the attacking half without worrying too much about defending. Because of the advanced positioning of the fullbacks, the width comes into play for the attacking team which can be key to unlocking deep blocks. Matic at 40 million looks like a bargain considering how high the prices have soared for players this window. He has always been an underrated player who keeps going about his job. It is only a matter of time before we begin to see his influence as the Europa League winners look to return to the glory days of the years gone by.